4 blog posts – read from bottom, up. In the last part of my blog, I include some considerations of becoming a limited company, as well as some resources I found useful. – Depending on your annual turnover, it can be better for your taxes. Company directors often pay themselves a small salary up to the tax-free threshold and then take dividends from the profits of a company that aren’t subject to the same taxes and contributions. – Setting up a pension is a legitimate business expense and tax advantage (if you’re turning over enough to pay yourself and set one up – this can be an aim for later in the business if it does well). – Assets and involvement in tenders for work are totally separate from your personal life and assets. – Your business name cannot be copied. – If you ever need business finance it will be easier to apply for. – There are much more administrative hoops to go through and your accounts are much more public than trading as a sole trader. – Being a director of a limited company means you still have to file a self assessment to HMRC. Remember to consult a professional on what options are best for you; this is not formal financial advice. 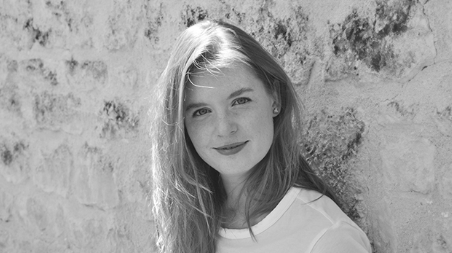 As part of my research into different businesses and creative women in business, I spoke to Director of InDesignSkills Ltd, Grace Fussell. 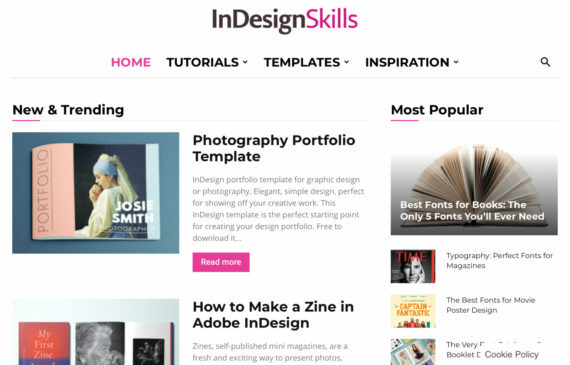 Established as a limited company in April 2018, InDesignSkills is a blog-based e-business the offers authentic and relatable content and skills to the design e-learning industry. In this interview Grace gives a frank and honest perspective into how her business grew from a small blog into something much larger and the steps she took to build it into the successful business it is now. 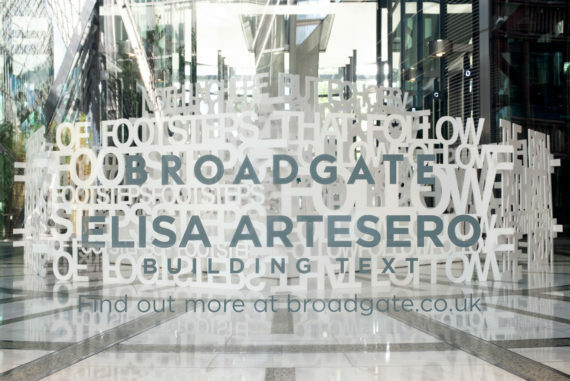 Elisa: Could you give me a bit of background to the company and why you started it? 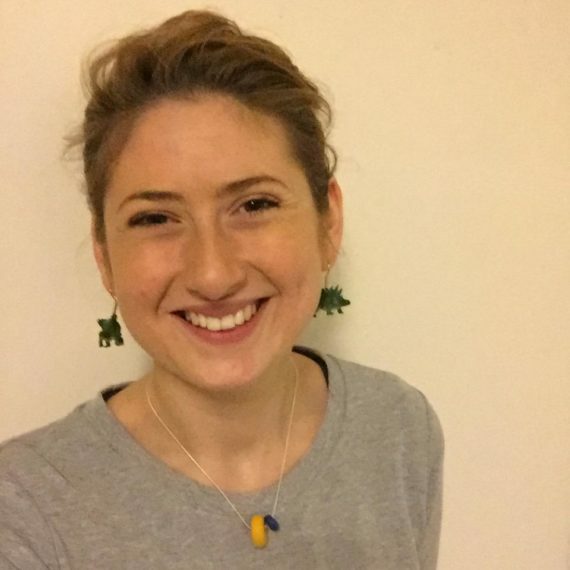 Grace: I’m a self-taught graphic designer, and when I was starting to teach myself InDesign to be a print designer, the resources online weren’t particularly good. To actually go to a physical course was quite expensive, so I went to a two day course at a local teaching centre. To be honest, it was a bit dry. I was taught all the technical stuff, but the actual designs we produced at the end of it were quite amateur looking and weren’t representative of what I was seeing in agencies. I was always thinking, ‘how do professional graphic designers learn how to produce things as they do?’ and I wondered how to teach myself to that standard without paying a lot of money or retraining. So that’s basically where the idea came from. It’s explaining how to do basic graphic design things such as layouts for magazines and business cards – things that small businesses need; principals of typography, things like that. We did it to explain things in a way that weren’t too patronising, too techy, or geeky. This is what I found with some of the existing sources online, led by these nerdy American guys, who’d say things like ‘of course you know how to do this’ which of course, when you’re starting out, you don’t! So I started this blog with all of that in mind and produced designs at the end of it, which looked really good. And that was the niche. It was finding a bit of a USP in the design education sector. Initially it started as a bit of a hobby while I was doing my normal graphic design job, which was an in house permanent employment job. E: Could you tell me a bit about how the blog grew over time? G: The blog was quite basic in the early days, then I started getting quite a lot of emails from places like America and Australia, mainly, at first, women who were looking to pursue a career after they’d had children. It was this real niche, because a lot of the techy design world neglects people like that because they’re a bit alienating for them. There were a lot of women who said they were looking to get into a marketing job, and some had found a position in a print making shop who needed someone who could do bits and bobs. It was really cool because I’d get all these emails saying they’d got a job from self-teaching on my site. It was really nice to know that I was helping people, and it just grew from there really. Then I started getting more interest from people like Adobe, who were seeing I was reaching people and targeting an audience they were struggling to access. It grew from there and I started to do video courses that people would pay for and offers for colleges and schools to give students access. E: How long have you been running for? And how long did it take you to build up the website? G: I set up the website about 5 years ago. The thing with these internet companies is that you have to play the long game. Mainly because you’re competing with other sites that are providing something similar, so it’s basically about building up a big library of content that is better than anyone else’s, and eventually, you get to the top of the search engine. This is quite different to my other work because it’s all about understanding SEO and researching gaps on the internet to fill them, keywords and things. But when you get it right, it’s actually really exciting. So earlier this year, it felt like the business was getting a bit too big to run as a sole trading business. One thing we’d started doing, which was really successful, was advertising on the site. We’d approach companies such as font designs and Adobe and offer to put their adverts on a banner on our site. We then got approached by a company that would approach businesses on our behalf to put adverts on the site, which was a good bit of outsourcing. After a while it started to go really well and bring in quite a bit of income, which was too much to handle on our own. We kept getting more and more emails about sponsorship and advertising, and basically the two of us were drowning in the amount of business we were getting. I think that happens with a lot of small businesses, which don’t go well for such a long time but then suddenly when it does go well it can be harder to cope. We were running it in France at the time but decided to move back to the UK, and this meant that I was able to establish it as a limited company. We are both directors, split the shares 50/50 and we have designated roles, and it just seems to work so much better. E: How do you administer the finances? Do you pay yourself through PAYE? G: Not at the moment. I also have freelance work, so I pay my salary through that and then I can pay myself dividends out of the business, but really I’m lucky because my company is not my whole work, I can kind of let it grow and I’m not desperate to take a lot of money out of it. Also, in the future when I might want to buy a house or a car or something like that, perhaps I could reap the rewards from it. But actually, I think that’s quite good advice to not take out too much money in the early stage of your business, it’s good to be very conservative, as you never know what might come up in the business. You need to put things aside for the tax bill at the end of the year, keep it in your business account and for your dividends and pay etc transfer that to another account. E: What do you think about me, as an artist, setting up as a limited company? G: I think it’s really good, it’s brave, and a completely sensible thing to do; because as soon as a client is put off by you being a sole trader, that’s a sign that perhaps something has to change, as you’ve lost business. It’s been a bit of a learning curve for me, I’ve always liked creating nice things, but the business side of it, when you get a handle on it, can be really buzzy. E: Do you have a business strategy and plan? G: I did, but I think it’s actually exceeded my expectations because originally what I wanted it to do is to have it as a little passive income business, that I could keep ticking over in the background and it could supplement my normal income, and actually, over the last year and a half it’s grown to such as extent that I have to give more attention to it, it’s not something that I can leave to do it’s own thing. And now, I think my ambition with it is to grow it to such an extent that I could maybe sell it. I don’t really want to be running it forever, so it would be great to sell it to someone like Adobe, or one of these big design education sites to take it off my hands, get a chunk of money and maybe do something else. I think it’s quite a good attitude to have not to get too attached to a business (but I think that’s very different to what you’re doing as an artist), and sell it when it’s doing really well. If it gets beyond your capabilities I actually think it’s a good thing to sell it and hand it over to someone else, so yeah, I think that’s my ambition maybe in the next 5 years or so, but we’ll see. I like it and enjoy it, but it would be nice to see it as a stepping stone to something else. If you do well in a business it means you can put your energies into other things as well, which is quite fun. It’s been a really good experience actually. I think it’s the right thing to do. While researching the different types of creative businesses being run by creative women, I spoke to Managing Director of Creative City, Beth Powell, about running her company. In this interview she tells me about the creative possibilities and challenges of running her own business, and the changes she’d like to make in the world through her work. Elisa: So, tell me a bit about what Creative City is and does? Beth: We are a community arts / community development company, which means that we do all sorts of things using arts projects. 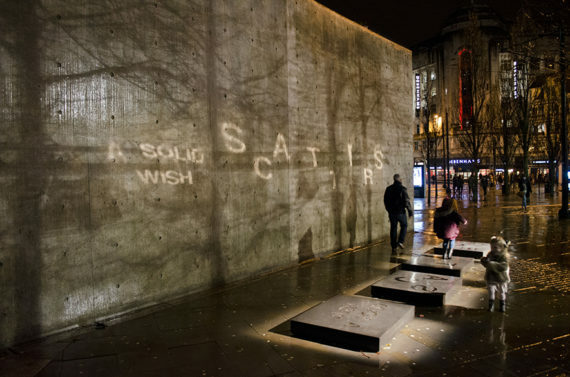 This could include problem solving, thinking up new and innovative ways of bringing people together, boosting confidence, and challenging certain injustices through the arts. It’s a social impact company but using the arts. I love doing all sorts of different things so I can work on a really individual level with some people and a much more whole-community and geographical area level as well. This can involve everything from running multi-organisational projects, to festivals, to 1:1 mentoring, so quite a big range of things that I put together a bit like pieces of a puzzle to make sure we are achieving all our aims. E: You also have a sister company, could you tell me a bit about that? B: Soap for the Future is kind of being incubated by Creative City. It’s got its own identity, it’s a start up venture. This is really exciting and also new for me as it is a product-based initiative. It’s all about women and women’s empowerment, especially focussed on women who are displaced by violence. We make and sell soap and the profits go towards funding women’s initiatives. 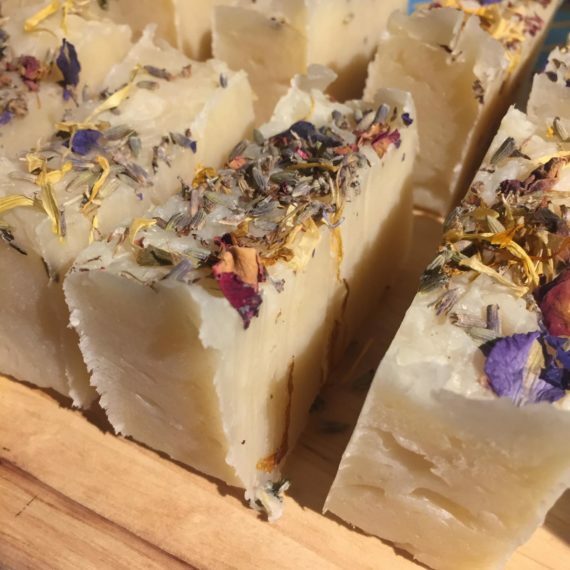 I also run workshops that are based around making soap, face scrubs and things like that. Really nice, therapeutic, shared experiences that help build friendships. E: Do you do most of the things yourself or do you outsource work? B: Behind the scenes I do a lot of the company building work by myself, with support from my other Director. I have a brilliant graphic designer who has been helping to develop the visual brand with me. Creative City, Soap for the Future, and another one of my projects, Take Up Space, are a family of initiatives. Each have different brand identities and separate audiences that I’m having to join the dots to visually explain, which has been a fun challenge. I’ve had support from volunteers too. I work with a range of different people to run workshops, and I work with a whole host of community groups and organisations who also have their own staff teams, so joint projects would involve them. When I’m leading a community-wide project my role might be to bring together staff from those organisations and help everyone contribute towards a shared goal. At the moment for my smaller projects and events I mainly work with freelancers. I don’t employ anyone directly to produce the soap, and when it comes to actually making the soap to sell, I do all of that. I’ve also had support from some women’s business initiatives. E: What’s the impetus been to start a company of this kind? B: So it’s a CIC (Community Interest Company), which means it’s a social enterprise. The reason behind it is the social impact that I want to make. There’s lots of different routes you can go down in life if you want to make a change; you could do formal politics, form or work for a charity, run a profitable business, but I chose this route because I think that the best route for me personally is this kind of balance between business and a more innovative way of doing good things. I think I’ve sometimes felt a bit stuck when I’ve been an employee, not that free to be as inventive as I want, or to respond really quickly to a problem that I see and design a solution and implement it without going through lots of layers of management, or to be able to apply directly for a budget to do what I need to do, so I find this way really freeing. I also think that there’s this problem in society to do with women in leadership and there are pros and cons to running your own business, but that freedom and ability to lead as you think best is really a big draw for me. E: You mentioned Women in Business initiatives you’ve had support from. Have you got any recommendations for anyone thinking of starting a business of who to approach? B: I’ve had lots of support, I’m really lucky really. I’d say before even doing anything it’s good to build a network of support around you with just the idea, because there will be a lot of people who invest in you as a person. There is a women’s enterprise and support network in Manchester called Flourish Together CIC, and they’ve been amazing actually. It’s a peer group of women that have meet ups, they crowd fund then redistribute the money to support women’s start up ideas. 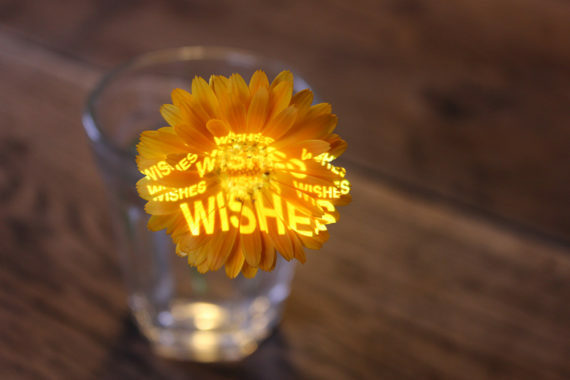 They do a lot of nice things, they’re worth looking up if you are running a social business. E: Could you tell me about your previous work that’s led you to this? B: This is actually my second business. The first I was running while I was also employed, so I’ve juggled a lot through time. After uni I went to work for New Economy (Greater Manchester’s economic development agency) and from there I went to work freelance within a small team contracted to deliver some social business support projects. So that was my eye opener into social enterprise, delivering business support for social enterprises. I then went into working more with young people, developing youth leadership projects, and went on from there to work as a regional manager for the Rio Ferdinand Foundation, which is where I got more experience of managing larger youth projects, bigger budgets and staff teams. I then went to work for Oxfam running women’s projects. One thing I found about running a business at the same time as being employed was a slight friction about where to put my creative ideas. If you pitch it in one place, it’s going to take time to get it through but might have more resource behind it, but then if you do it in your own business you might find it more of a struggle, but might have more creative freedom and be able to shape it’s ethics more. It’s a whole challenge. There’s no right or wrong way. I wouldn’t be able to do what I was doing now if I hadn’t had all those different jobs. Especially that balance between experience of economic development, community and youth leadership work. E: Did you have any particular advice before you set up? B: Not the first time around, but I just had a lot of experience from being around lots of social enterprises, and perhaps I should have sought out more advice. But it’s swings and roundabouts really. I think sometimes a bit of trial and error is ok. I’ve learnt a lot from just doing. I think starting up my second business has been the perfect moment to get a lot of advice as I understand the different aspects of business better, now I can have more informed conversations about what we are trying to achieve and what our options are. E: How much more admin is it to run a company than a sole trader? It’s a lot of admin. It depends, as lots of sole traders effectively run as a company, they have a brand and social media, and a lot of subcontractors who are like their staff. But I think running a company is a lot of admin as there’s an annual timetable of things that have to go in at certain points. And to do things well, you have to keep up to things on a weekly basis – what’s coming in, what’s going out, what’s owed, timetable of invoices. I can spend a minimum of 4 hours a week on it. E: Do you run PAYE? B: I have taught myself how to do it, which actually felt more scary than the initial starting of the company. Running PAYE and knowing that you’re an employer feels like a massive responsibility. I use Quickbooks, which has got pros and cons I think. There were a lot of things like using tax codes that I’ve had to just learn without much help. I think if you’re a director-only company and you just have to pay your own pay then that’s useful because you can learn how to do it in a way which you can be quite forgiving if you make a mistake and just correct it. As a freelancer trying to fill in self assessment on my own I found it quite difficult to get advice from HMRC, but as a director and employer I found it quite easy to get advice from them. B: I have a business plan that I refer to quite a lot. I think it’s really useful because when you’re running something, anything, you can have those moments when you can question yourself, mini little melt downs that happen periodically when you’re the driving force behind something, and it’s really good to refer to because it reminds you of the bigger picture and then also it’s got your objectives in you can refer to. E: Thanks so much for the insight into your company and working life. Could you tell me about any exciting plans coming up? 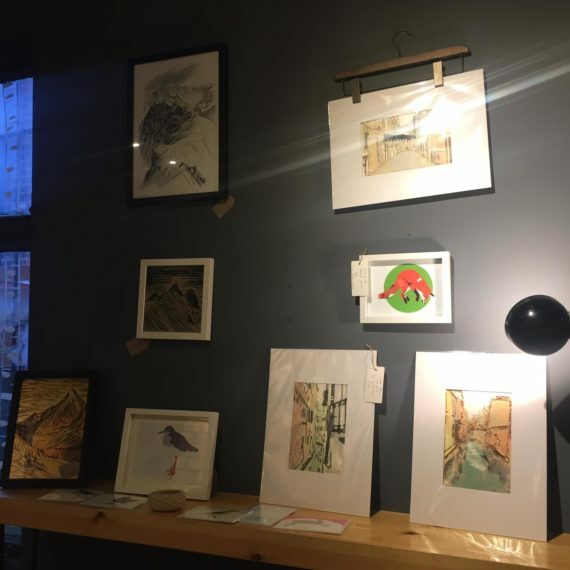 B: I just finished running a pop-up shop, selling craft gifts and beautiful art by Manchester-based artists and makers, in the lead up to Christmas. It’s been great because it’s brought together artists I’ve been working with in different ways, for example my creative business mentees. So every time I made a sale for them I did a little happy dance knowing how much it will mean to them. I’ve got some great things coming up in three Creative Spaces libraries I’ve been working with in Manchester. I’ve been helping them to become cultural hubs for their areas and helping to bring in younger people to use the libraries creatively. We’ve got a project coming up in January/February 2019 with Brighter Sounds who will be delivering some youth music workshops and the young people will be performing in libraries, which will be really nice. That collaboration is all about women in music. I also have a really exciting participatory budgeting pilot project coming up in an area of Bolton. I think its really innovative as I’ve never really come across something like it quite so youth led, so we’re really excited to give it a go and support some young people to run a participatory budgeting project, leading up to an event where young people will vote on how the youth budget for a particular grant is going to be spent. 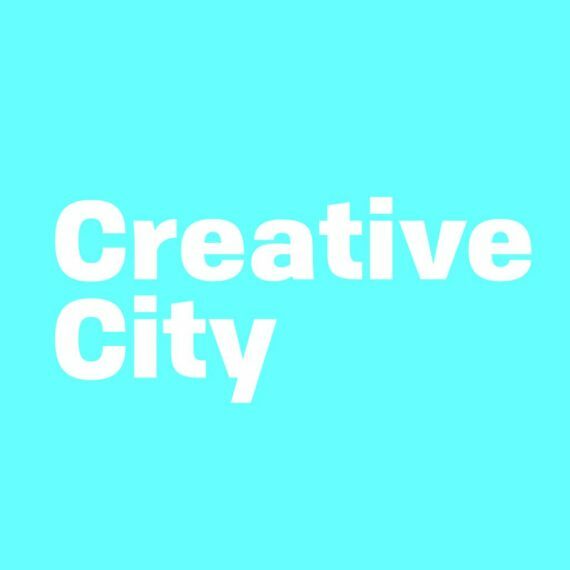 You can find out more about Creative City England CIC here. 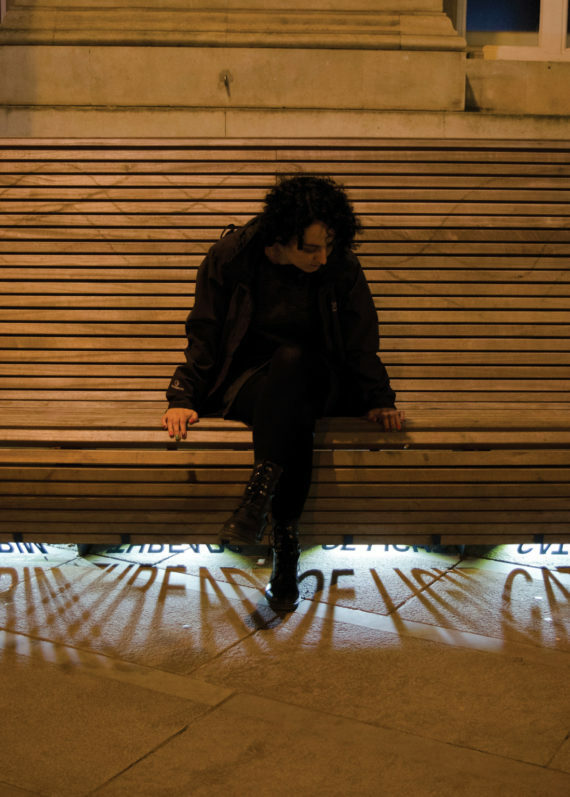 I am a light and text artist working to create installations and sculptures mainly for the public realm. For around 5 years I have been working as a sole trader in terms of my business structure. It has worked well until a few times it’s been suggested to me that running as a limited company might be a better option for growth. It’s common to be an artist and stay as a sole trader to run your business and often there is little to no need to change, it can really depend on the type of artistic practice you work with and the scales at which you want to grow. For me, I have been considering forming a limited company for some time. I have several strands to the work that I do in terms of my artistic practice and business and feel putting it all under one roof, so to speak, will work well for me, both in a legal structure and a psychological one – it’s a big step and one that signals to myself that I’m really in this for the long haul. Also, I work a lot in the public realm and want to continue to do so on larger commissions, which, by their nature, have larger budgets and bigger liabilities that are better to be separated from personal assets. A limited company is a legal structure separate from you and your own assets (such as a house). You become the director of it and this means it can also function to employ other people and grow in ways you probably wouldn’t consider as a sole trader. It is not necessarily the easier option, you will legally have many responsibilities as a director of the limited company that can seem pretty full on when you read the letters from Companies House, but depending on your business plan and aspirations, it might be a good option to choose. In terms of my own work, I’ve found that the companies and organisations that I apply to work with are sometimes not that keen that I’m a sole trader and would prefer to deal with a limited company. So for me, I think it’s the right step to at least try this new structure, and with a-n’s professional development bursary, I’ve finally taken it to become Studio Elisa Artesero Ltd.
1. I stalled. Was this really what I wanted? Was I ready for it? What if it fails? I don’t know EVERYTHING about running a business and taxes, so therefore I must not be ready. 2. I got a commission to develop an entirely new body of work for my first London solo show. Now, for number 1, I could give myself a little talking to, speak to friends, colleagues and accountants and just get on with my plan; but number 2 required a huge amount of work, creative and logistical efforts to make the artwork and put on a good show – it had to take precedence. So, I temporarily shelved forming a company to do my artwork. However, during this time, I did several useful things. I bought and read a book on starting your own business and the different options available. I listened to hours upon hours of podcasts from various different sources, from traditional start up businesses, to women in business interviews, to specialist art business podcasts. I absorbed as much information as possible to help me understand the business world better, and to really plant that seed that it was possible and I could be the director of my own company. After the solo exhibition I also got another long-term commission, work was coming in fast and I still hadn’t formed! However, this new commission was more staggered in its timescale and allowed me to plan in more time to research, write a business plan, interview other creative women in business about their stories (next blog posts) and to find an accountant and go through the legal process of forming. The next two blogs posts are my interviews with two fantastic creative women entrepreneurs, telling me their stories about setting up and running their own creative businesses. The last blog post will cover some pros and cons of the two different business structures and some resources I found helpful.